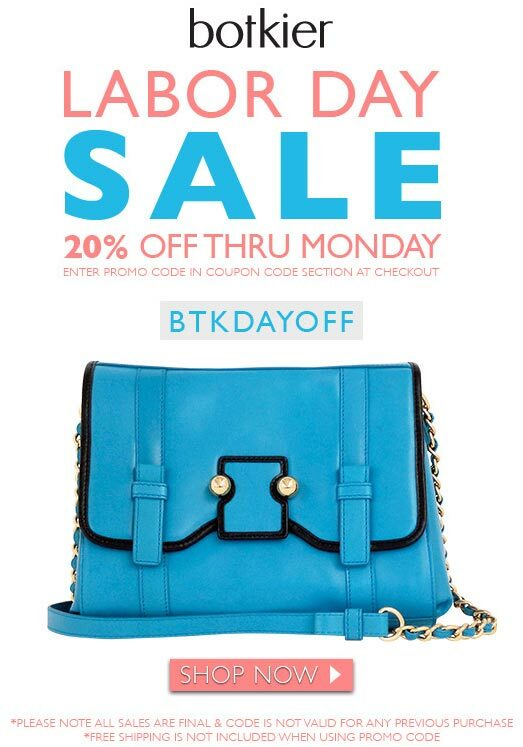 WHY: Get 20% off your purchase at the Botkier Labor Day Online Sale. Use promo codes BTKDAYOFF at checkout. All sales final. code not valid on previous purchases. Free shipping not included when using promo code. WHEN: Through 9/3, 11:59PM EST.